Keymon and his friend Rohan have decided to attend the Big Fish Hunting. It's up to you to help them catch as many fish as possible! Players take control of Keymon's fishing line, though players cannot move it much. The hook moves from side to side. 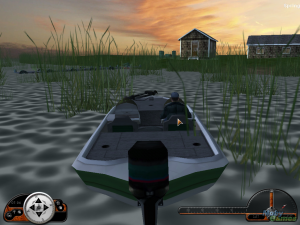 In order to catch the moving fish, players have to choose the right time to release the hook. Different kinds of fish will give players different points. 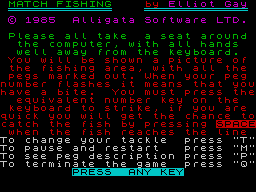 Beside fish, rubbish also present; catching them can decrease players' score. Sometimes, one or two crabs appear and is/are ready to grab the hook when it gets near and hold it until players pull it out. Players also meet a rectangular thing with a question mark on it which will have various affect on players (give players strength, increase/decrease points) There is a time limit and a "goal" score. 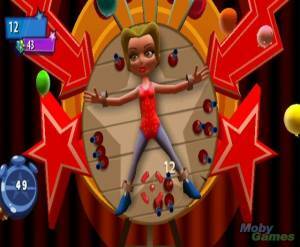 Players have to reach at least the goal score within the time limit to proceed the next level. 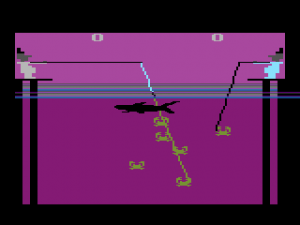 As player proceed, there will be obstacles, making it harder to reach fish. When players lose a level, it is possible to restart it with the score unchanged. 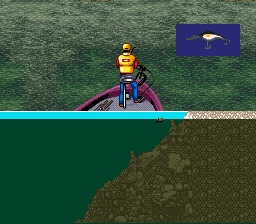 After each level (except the final level), there is a "did you know" fun fact which tell players things related to fish.